At Grades of Green we have the pleasure of mentoring amazing students doing exciting things to protect our earth! Eco-Leader Cosmo is a sophomore at Long Beach Polytechnic High School in Long Beach. Cosmo joined Grades of Green three years ago to pursue his passion for preserving the environment. He believes that the future of our society depends on youth and not only talks the talk but walks the walk. Over the past three years, Cosmo has worked hard to reduce single use plastics in his community. In early June, Cosmo was invited to act as an Algalita Youth Ambassador at the UN Ocean Heroes Bootcamp in New Orleans. Cosmo and his friend Jude acted as squad leaders and gave a speech on the differences between inspired change and required change. Cosmo put his eco-leadership training into action by sharing the benefits of spreading the word and getting others involved in the single use plastics reduction movement. Earlier in the year, Cosmo teamed up with Eco-Leader Antonio to advocate for the ban of straws from schools to the Long Beach Board of Education. 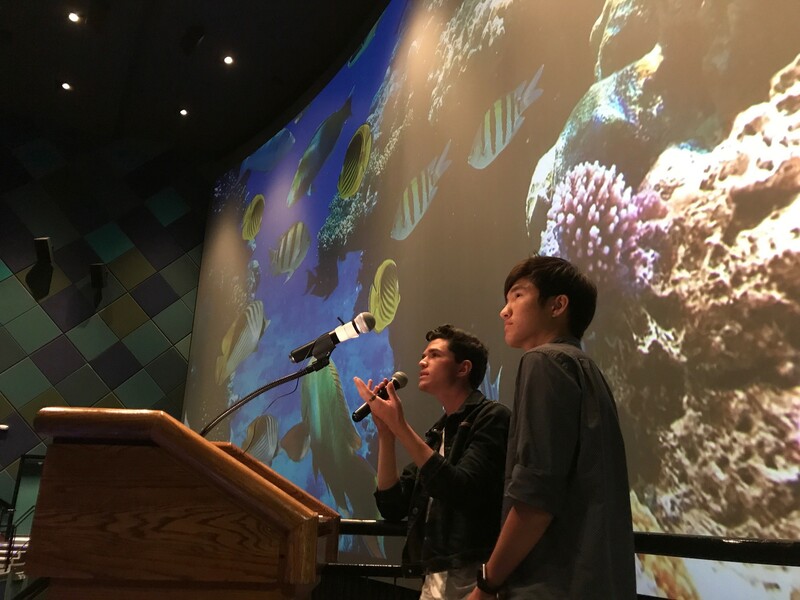 During the UN Ocean Heroes Bootcamp, Cosmo was able to share his experience by leading workshops on how to reduce plastic pollution in their local communities. Way to go Cosmo! Thank you for inspiring our youth to take care for the environment! We are looking for student teams to join our Water Campaign in the fall! Join Cosmo and create a movement to protect our environment in your community. REGISTER FOR THE FALL WATER CAMPAIGN HERE!